This Easter season, we join Jesus as he prepares to return home to heaven. Jesus had entered our world to carry our sins to the cross and open heaven by rising from the dead. On Easter morning, he accomplished his mission. By his resurrection, he brought us into a new family and promised us a forever home through faith in him. Listen to Jesus as he tells us about this new home, this new family, this new life. Jesus gives us the keys to the house, teaches us everything we need to know about how to operate in this household, and promises to keep us safe until we make it home. 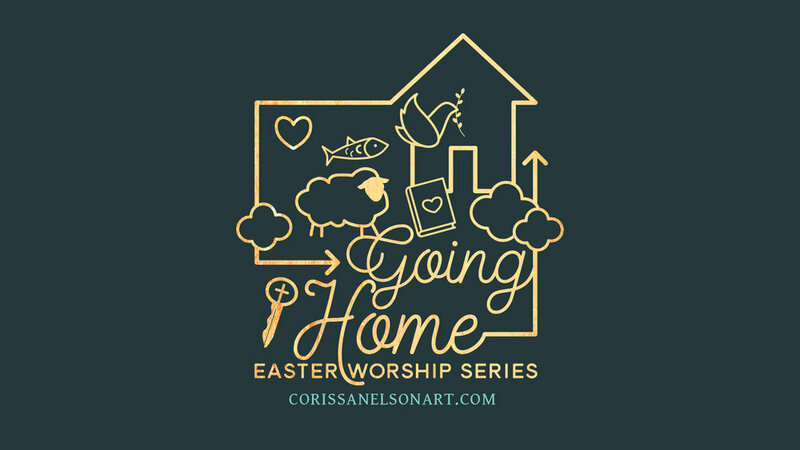 Whether you have a happy home life now, or are desperately longing for the day when you meet Jesus at the end of the journey, this series is for you. It’s a long journey. Let’s travel together. Join us, we’re going home. Based on the Gospel lessons during the season of Easter. Why did he keep moving toward the cross? Was it an accident that Jesus was crucified? The tragedy of the century? Surely, he should have known this was coming. Surely, he could have avoided the pain, the suffering, the death. But that’s the point, Jesus knew all along he was going to die. That was the eternal plan of the Father, that the holy Son of God would suffer and die for a world of sinners. However, Jesus also knew that death would not be the end. The payment for sin would be accepted and he would rise to life again and defeat death itself, for us. Join Jesus this Lenten season as he relentlessly walks toward the cross, because he knew he was going to die. 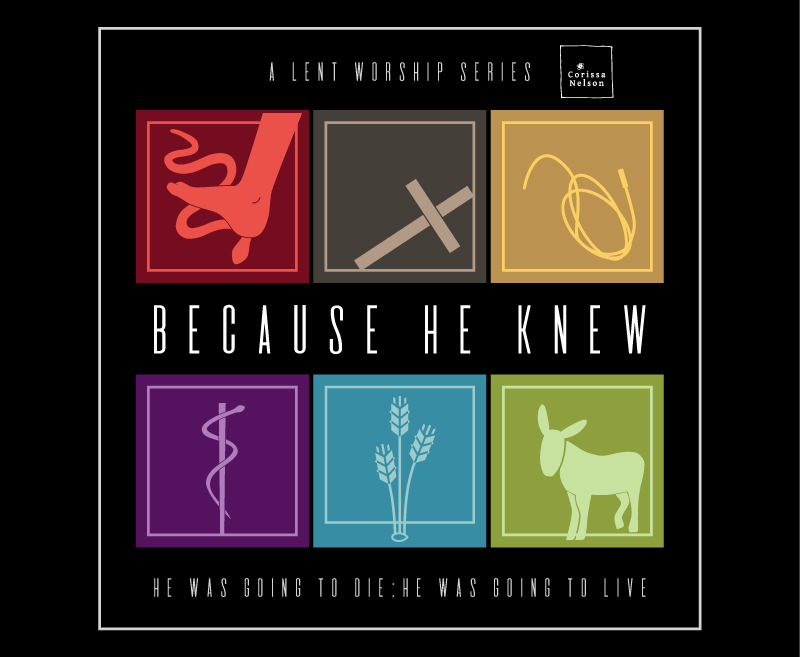 The Gospel lessons for Lent in Year B are all connected by this one fascinating revelation – Jesus knew all along that he was going to die, and that impacted everything he did, for our salvation. At Good Shepherd in Cedar Rapids, we’ll follow this theme throughout the Sundays of Lent. During the midweek Lenten services we will be studying the Book of Hebrews using the series from Northwestern Publishing House "Jesus is Our Great High Priest" with this coordinating "Blood of the Lamb" artwork. Just days before Jesus would go to the cross, he took his disciples (and even his enemies) to the vineyard. During October, our worship series will focus on four parables that Jesus told about how his kingdom works, how he invites people into his kingdom, how he patiently calls them back to his kingdom, and how he desires that we join in his celebration at harvest time. October is a time to focus on the harvest. Come and see God’s harvest strategy that he uses for his people and gives to his people. What’s next? At Good Shepherd, starting with Reformation on November 5th, we will be using the Reformation 500 worship resources that highlight the “solas” of the Reformation: Scripture Alone, Christ Alone, Grace Alone, Faith Alone. You can find other Reformation and End Times artwork in the shop. Artwork for the Harvest Strategies Series is available here. Romans: The Basics of the Christian Faith, One Word at a Time. This summer at Good Shepherd, we will explore the basics of the Christian faith by studying the book of Romans. In Romans, the gospel is so clearly revealed. The good news that God has restored a relationship with his fallen people is showcased throughout the book. Romans takes us back to the basics of Christianity and yet presents us with deep concepts to wrestle with. What is atonement, righteousness, reconciliation? What does this mean in my relationships with the people around me? What does this say about my relationship with God? Each week we will look at a different good news concept that is highlighted in that reading from Romans. God's Word will give us the comfort, strength, and hope that we need... one word at a time. Corissa and I hope that the corresponding artwork can be a blessing for your ministry as you share the beautiful basics of the Christian faith this summer, one word at a time.